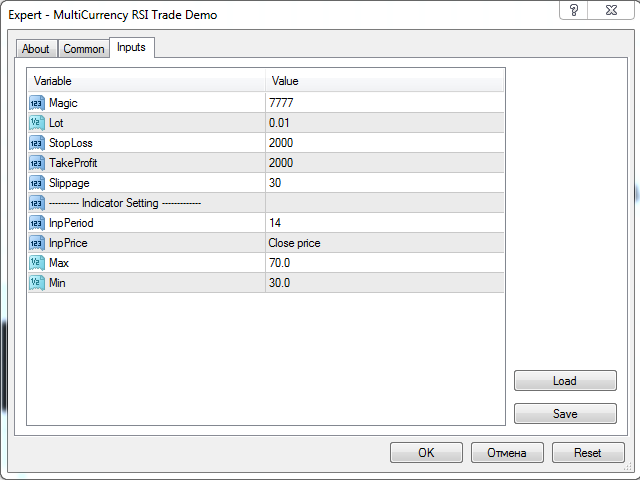 MultiCurrency RSI Trade Demo is a demo version of the MultiCurrency RSI Trade EA, designed for testing the EA before purchasing it. It works only on the M5 timeframe. Despite the extensive calculations, it does not load the terminal. The default settings of the EA are ready for trading. The orders are closed based on the closure signal, stop loss and take profit are rarely reached. They serve to protect the deposit from sudden price movements. The multicurrency EA can be tested in the MetaTrader 4 tester only for the current currency pair, while in live mode it trades 28 currency pairs simultaneously. To demonstrate the EA's performance, the Multicurrency RSI Trade real account signal has been created. Does it work on a real trading account?